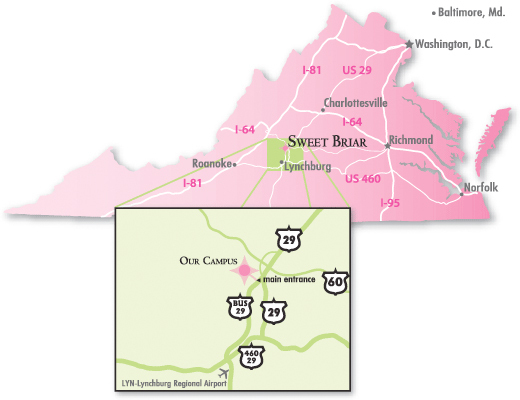 Sweet Briar College is located off Route 29, an easy drive from Charlottesville or Lynchburg and two hours south of Washington D.C. The map below gives an overview of our location. The original plantation house is referred to today as "Sweet Briar House."